Astrid Johannmeyer Hi Sir Roger What’s the secret of your marriage? 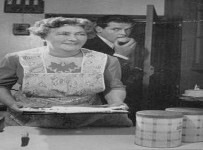 I’m old fashioned in that I firmly believe the husband should ALWAYS have the final word. It’s usually “yes, dear”. Keith Sage Dear Sir Roger Moore… A great fan of your work, on screen and for UNICEF… I grew up in Denham Green, in Buckinghamshire… I have fond memories of the pleasure of meeting Sir John Mills in the village… What fond memories do you have, from when you lived there and do you miss it sometimes??!!! Many Thanks & Kind Regards! Keep Up The Good Work! 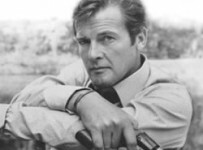 I loved living in Denham, and in fact my full title (on getting my Knighthood) is Sir Roger Moore KBE of Denham. I never really wanted to leave, but the tax legislation of the Labour government in the late 1970s meant I was faced with paying 97% and as an actor’s career can be short, in terms of earning decent wages, we have to look after our pennies to see us through our old age which meant I either moved overseas or faced a bleak financial future. I have so many fond memories of Sherwood House, Denham village, the pub, the countryside and of course Sir John and Lady Mills. One of my other near neighbours was Jess Conrad, the 60’s singing sensation. Tony Peacock Hi Sir Roger. 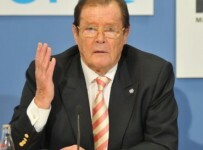 Roger Moore of course – I’d charm them into submission! Tony Peacock Hello Sir Have you ever met Steve Coogan/Alan Partridge and was you ever due to be in the Film The Parole Officer with him ? They said you could not do the film at the last moment and Omar Sharif replaced you was that true? Yes I have met Steve and in fact did a sketch with him on stage at a charity evening for the homeless at Westminster Central Hall a few years back. I don’t ever recall being offered The Parole Officer, but perhaps I was busy elsewhere … ? It’s not like me to turn a job away! I was very, very saddened to hear of Jim’s death. We became good friends when I lived out in Hollywood and indeed on Maverick. He was one of the really nice guys, and we’d often bump into each other socially in later years. It’s always a wrench to hear a mate has died, but Jim was so loved by everyone that it was particularly tough. It’s apt I’ve called my new book ‘Last Man Standing’ as I think I may well be!